New metal gain controls and a sleeker red metal chassis underscore its improved industrial design, built to go anywhere. 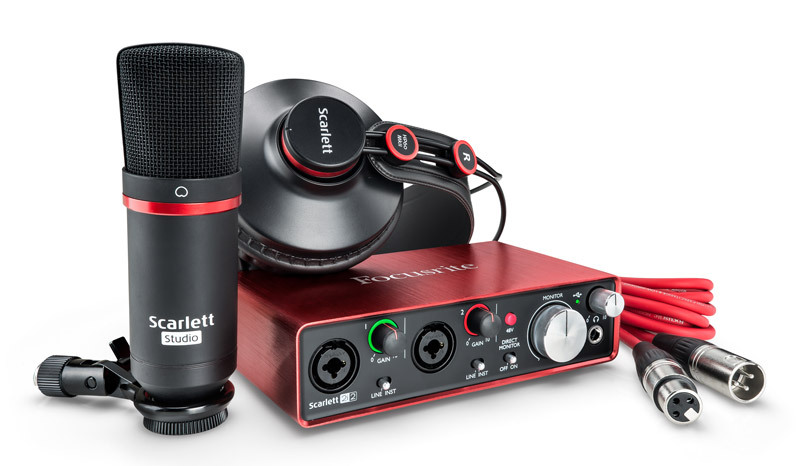 The Scarlett range also now operates at sample rates all the way up to 192kHz. The input channels have evolved too. 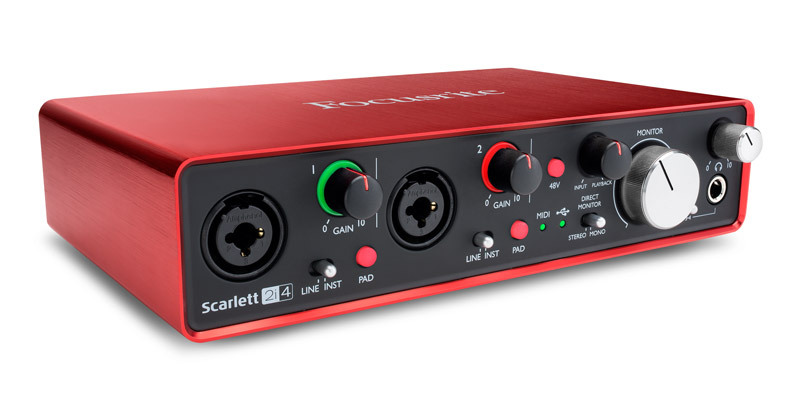 The latest Scarlett mic preamp features a more even gain structure, so you can accurately set your levels, and the instrument input has also been completely redesigned so it can handle seriously hot guitar pick-ups. Finally, Focusrite have provided analogue protection circuitry across both the inputs and the outputs, to guard your interface against unwanted power surges. 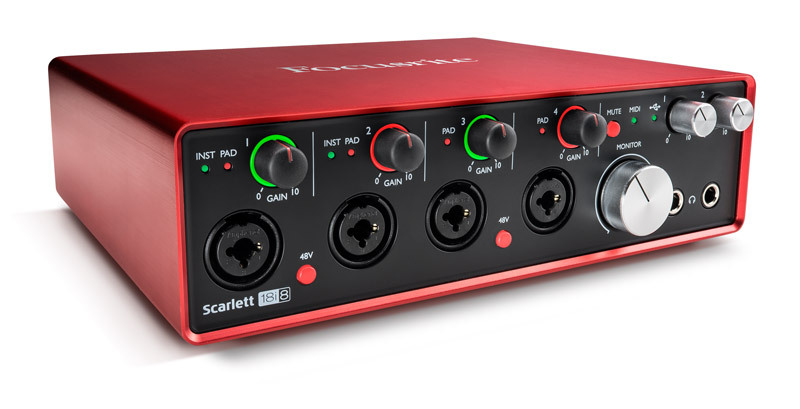 Compact and portable enough to take anywhere, you won't even need a power supply: Scarlett Solo is connected and powered by a single USB cable. 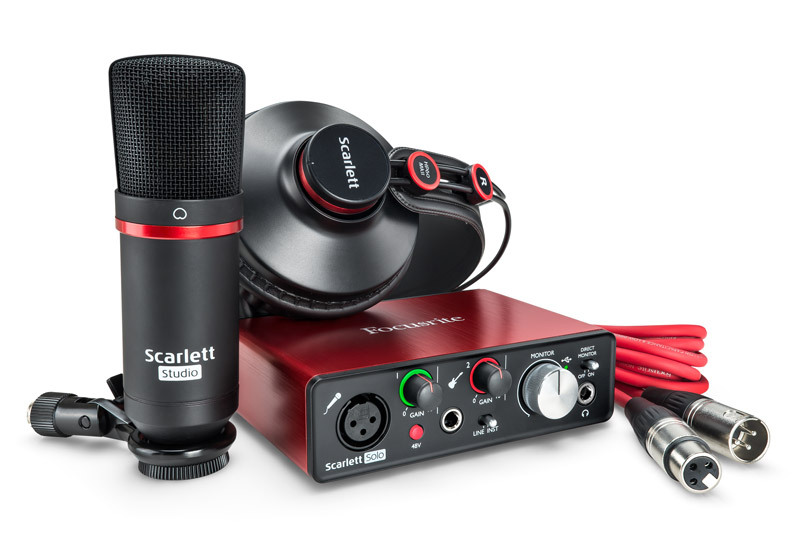 It also comes with the software and effects you need to start recording: an exclusive version of Pro Tools | First Focusrite Creative Pack (featuring 12 additional plug-ins including the Eleven Lite for real life guitar amp emulations), Ableton Live Lite, the Softube Time and Tone Bundle, Focusrite's Red Plug-In Suite, 2GB of Loopmasters samples and more.